You may have heard about a little bit of a soccer tournament happening over in Brazil. You may be interested in watching some of this tournament. The simple way of doing this would be to walk to your T.V and switch on SBS. However should you wish to brace the cold weather and unsociable hours, for the excitement and atmosphere of watching the game with others, here is a quick guide to doing so. Under no circumstance should you head to Federation Square. 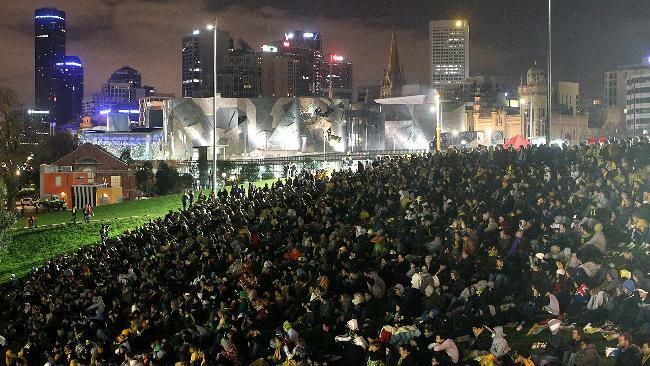 The World Cup has outgrown Fed Square and like 2010, the Socceroos games will be shown at Birrarung Marr. Its not a bad spot to watch sport with the grassy banks creating a nice vantage point and alcohol free restrictions making it possible to bring the kids. Be warned however that those who grace the live sites these days are prone to the odd Aussie Aussie Aussie chant and rather fond of Mexican waves and beach balls which perhaps may annoy the fanatical football fan. If you couldn’t think of anything worse than standing out in the cold weather without a drink in hand, but like the idea of being able to hug random strangers when goals are scored, then you are probably on the look out for a sports bar. Anywhere worthy of calling itself a sports bar will be showing the big matches (Socceroos games and finals). My favourites include The Duke, The Hawthorn, and Mt View but there are no shortage of places and they are all throwing in nice enticers including projection screens, cheap Budweiser and discount meals. Should you which to watch games that are not Australia, your options are a little more limited. The Elephant and Wheelbarrow, a bar I never thought would earn a mention on this site, will be showing every England game while The Provincial will be showing every Spanish game. I have no idea where Kealba is either but can personally vouch for the other pubs. 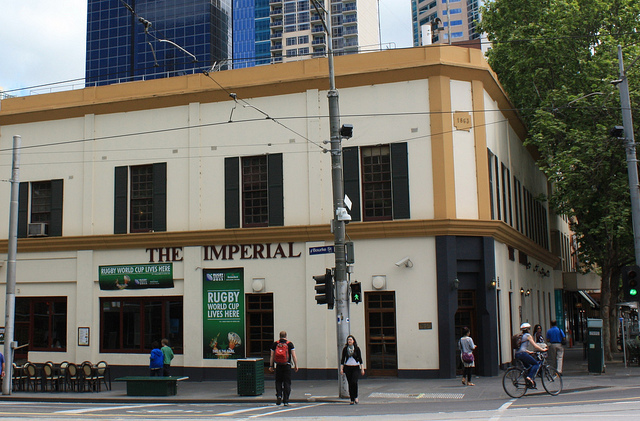 If deciding between them, keep in mind The Imperial is traditionally a big soccer pub and will be serving breakfast from 6am. The Melbourne Central Lion will probably be the quietest of the lot , Bells has a TAB attached and is located in Melbourne’s most famous football suburb while the Portland Hotel has the best beer. 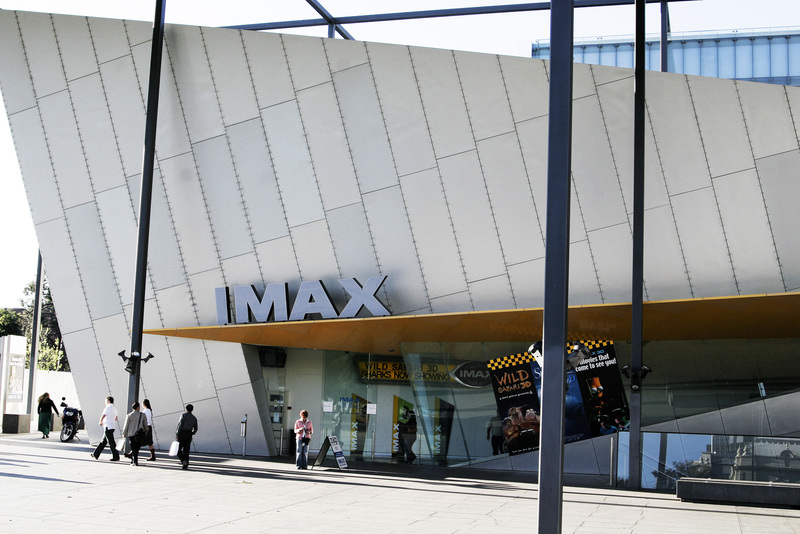 If you simply want to watch the games on as big a screen as possible then head to Imax Melbourne. The cinema is using its biggest screen (the biggest in Australia) to show the Australia vs Chile and England vs Italy games. Other cinemas will also be showing games which is not a bad option for the casual fan. At least when someone calls you a theatre going fan, they have reason to do so. Finally, keep an eye out for the World Cup Carnival Melbourne. They are an organisation (in the loosest possible term) running a pop-up venue out of a warehouse in Flinders Street . They are charging $20 a head which includes a drink, table soccer and Brazilian musicians and dancers. Only available for certain matches so be sure to check out their website for more details.